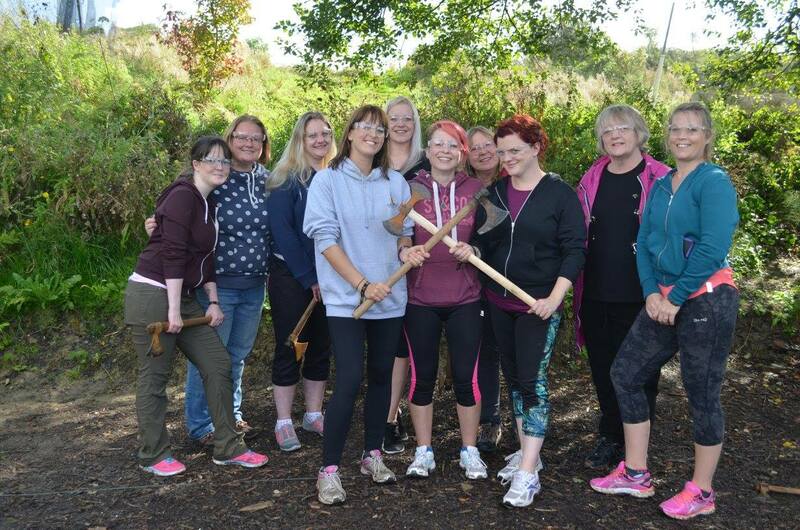 Why not start your day in the great outdoors at Bristol Activity Centre? We offer a range activities that will suit every girl in the group. Get down and dirty on one of our hen party favourites is the Quad Biking with a thrilling challenging trek (we offer coveralls to protect your clothes) Alternatively, test your skills in a woodland Archery session and beat your friends by hunting the most animals in an hour! If neither of these work for you, then perhaps you could release your inner Viking with a spot of Knife and Axe throwing which is always a great challenging activity, especially for a hen weekend Fancy yourself as a sharp shooter? Consider Clay Pigeon Shooting with real shotguns – we have shot guns in a range of weights to suit everyone, and also surpressed shotgun cartridges which are perfect to learn how to shot gun shoot without any of the “kick back” from the heavier shotguns. Whatever you choose, we can accommodate everyone. Burlesque is always a great idea when planning your hen night out. In Bristol, we have a Burlesque festival held in September that you can pre-order tickets for or we have Pink Kitten Dance School who actually offer a session for hen’s to come and learn how to do the burlesque dance – why not expand your skills? For smaller parties you’re looking at around 1 1/2 hours and up to 2 hours for bigger parties. Burlesque is a great way to get all the hens involved – even the ones with two left feet. You can have a giggle at the over-sexualised costumes and failed dance moves and the best part is you can do it whilst sipping red wine in your living room because they come to you – the best mix for a brilliant hen weekend, wine and giggles. 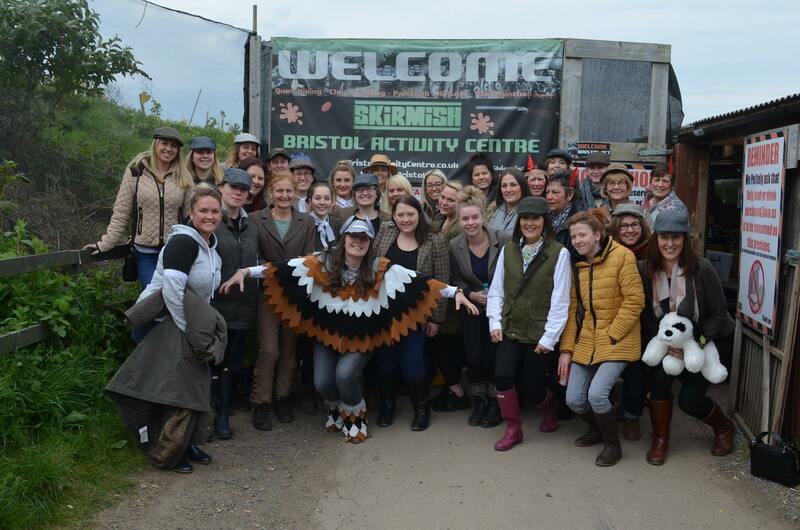 With a little help from lady luck, you can have the best hen party in Bristol. 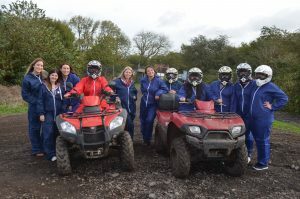 Like a cocktail of flowing money, glamorous surroundings and a boost of adrenaline a casino is an excellent addition to any hen weekend that’s looking for fun thrills. It wouldn’t hurt any hen party to have a little spin on a roulette table or a go at the blackjack – the rush of winning big spices up any evening and puts more in the pot towards the drinks. With a variety of options to go to, Rainbow Casino being one, you have plenty of choice. The lights from the machines will dazzle you and the girls and who knows – it could result in you leaving the night a millionaire. 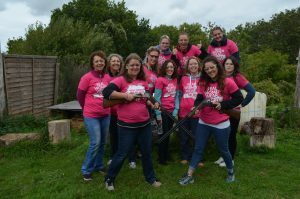 Do you know what the best addition to a hen party is? A butler in the buff! Why you ask? Who wouldn’t want a hunk dressed in a variety of options? Choose from a butler with nothing but his apron if you’re feeling cheeky or if you want a butler with a little bit more modesty choose from either black boxers or suit trousers. Feel awkward having a handsome stranger following you around, ask him to join in with some super-fun and super-embarrasing hen party games. He’ll even host them for you – choose your butler from a famous site called butler in the buff and you can choose his uniform, how long you want your new party member for and you can choose from a male butler or a female butler or both so there’s something for everyone. The best part is he will mix and pour your cocktails and make your hen evening the best it can be, what a brilliant addition to a hen party weekend. Cocktail making is a classic hen party idea, but, where the hell can you do it in Bristol? Fret not – there are plenty of places for cocktail making in Bristol. Such as, PRYZM in the town centre. PRYZM is a popular venue for hen’s in Bristol and they do cocktail making classes there. But the fun doesn’t stop there – if you come do an activity with Bristol Activity Centre in the day we can actually get you free entry into PRYZM on the evening so you will only have to worry about paying for the class itself. What should I wear when I go paintballing? Ever wondered what it’s like for a soldier out on the battlefield? Experience it for yourself at Bristol Activity centre. Playing on a decommissioned military base, with remarkable underground bunkers and military ruins ready for you to explore. Take cover in an army helicopter, a 432 Tank, an armoured personnel carrier or inside a navy boat. Whatever you choose, you’re guaranteed to have a blast. Clothes Loose lightweight and of course comfortable clothing. It’s advised not to layer up, even in the colder months, as all that adrenaline pumping through your veins will warm you up in no time. Although people believe layering up will make it hurt less but this is a myth – body armour if available if you’re too worried about getting hurt. We also recommend that you wear old clothing as nobody wants to get a new t-shirt or hoodie muddy or ruined and this is possible at our venue. Footwear Your footwear must be comfortable, and have a good grip – which is essential to stop you slipping over. We don’t recommend plimsoles as they do not provide enough grip! and sandals & heels are prohibited due to the uneven, outdoor terrain. Instead, we suggest you opt for some walking boots, wellies with deep tread, or old trainers. 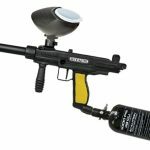 Do Paintballs stain your clothes? 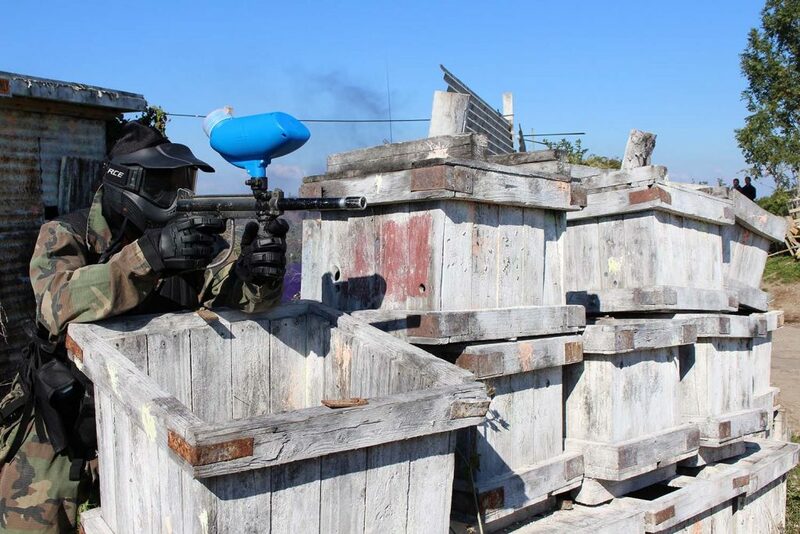 Paintballs do not stain, they are made out of water soluble, non toxic gelatine so they wash right out of your clothes. 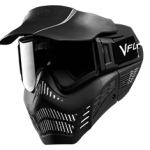 We provide you with the following: – Full face goggles – All in one Coveralls – Your paintball marker – We also offer optional body armour/chest protection for ladies and small children. 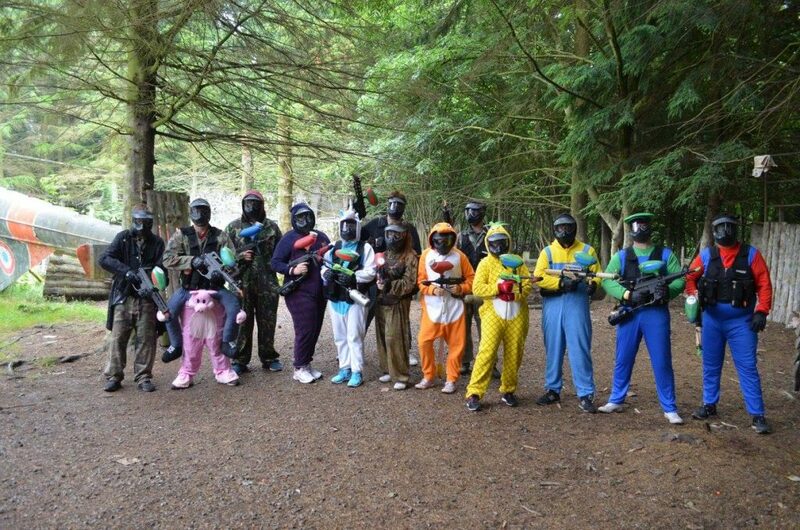 Stag or hen Party? Then dress up! You’re more than welcome to play in fancy dress it’s your choice! Over the years we have seen the good, the bad and the ugly. 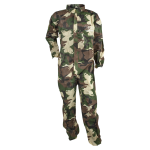 The coveralls are optional and recommended to protect your clothes from mud and paintballs. However, we ask that nobody turn up naked or in any outfits too offensive. Great play at Cribbs this weekend. Excellent site with good terrain, being ex MOD. Some good buildings and structures to play in. Would recommend it. Staff are great and very helpful.